This tote bag (measuring 35.5cm wide x 41.5cm high with 66cm long straps) is now available to pre-order for collection at Edinburgh Yarn Festival 14 & 15 March 2015. 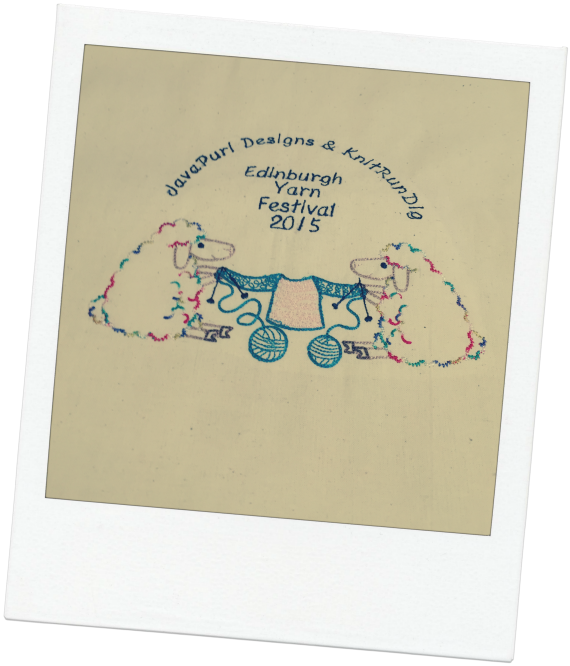 The bags will be £4 each until the festival when they will be available for £5 or for free if you spend £30 or more at our stand – JavaPurl Designs and KnitRunDig. To order, please email me at knitrundig [at] gmail [dot] com; I will then issue a PayPal invoice. Latest update is now live. New club, starting April 2015 – sheep! 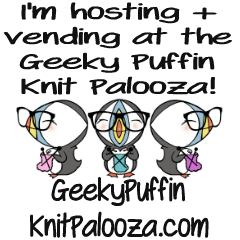 We are excited to announce the Geeky Puffin Knit Palooza retreat, taking place from 29 October to 1 November 2015 in Edinburgh. Sign ups will be open from 1 December 2014. There’s a Ravelry group at http://www.ravelry.com/groups/geeky-puffin-knit-palooza, for chatter, announcements and other fun and the website will be up soon. Yay!